Plus there’s typically 35+ food trucks, live local music, workshops, kids games, and bars with seasonal cocktails and local wines and brews. 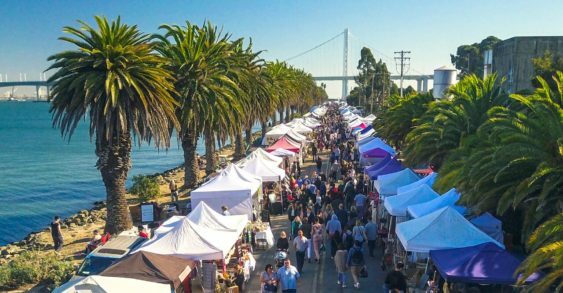 The two-day flea market, which takes place the last weekend of every month, is on the east side of Treasure Island facing the East Bay. Cashless Entry – Credit/Debit is now required for entry at the gate (sorry, no more cash for safety reasons). Yes, they will still have ATMs for vendors that only accept cash. Get $4 Tickets Early – Presale online tickets end Friday at 11:59pm. – RSVP on Facebook to get entered to win a $100 shopping spree. – DIY community workshops & carnival games. 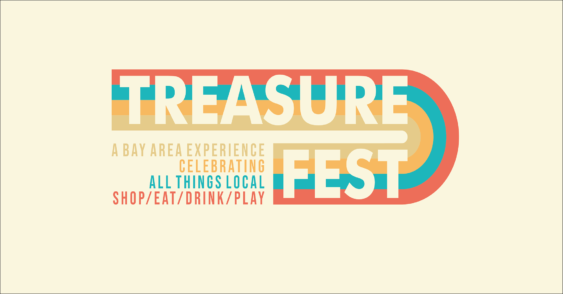 – Live Music & Scavenger hunts. May 25 & 26 – Big Birthday Bash! Nov 23 & 24 – Snow-vember! Once you arrive on the island take a right on California, but don’t worry because there’ll be lots of signs and traffic guards assisting you on where to drive and park. As always, parking is free.